The exhibition showcases the artwork of the acclaimed artist, and features collages, prints, and watercolors by Bearden. A formal opening reception will take place on Friday, February 2, 6 – 9pm. 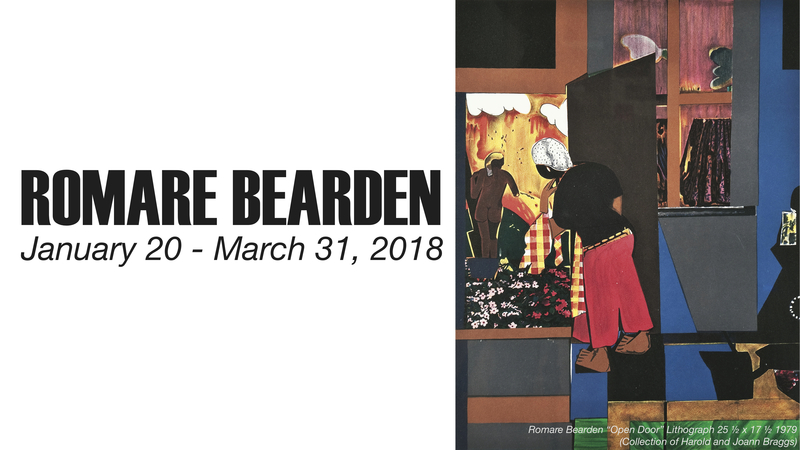 “Romare Howard Bearden was born on September 2, 1911, to (Richard) Howard and Bessye Bearden in Charlotte, North Carolina, and died in New York City on March 12, 1988, at the age of 76. His life and art are marked by exceptional talent, encompassing a broad range of intellectual and scholarly interests, including music, performing arts, history, literature and world art. Bearden was also a celebrated humanist, as demonstrated by his lifelong support of young, emerging artists.